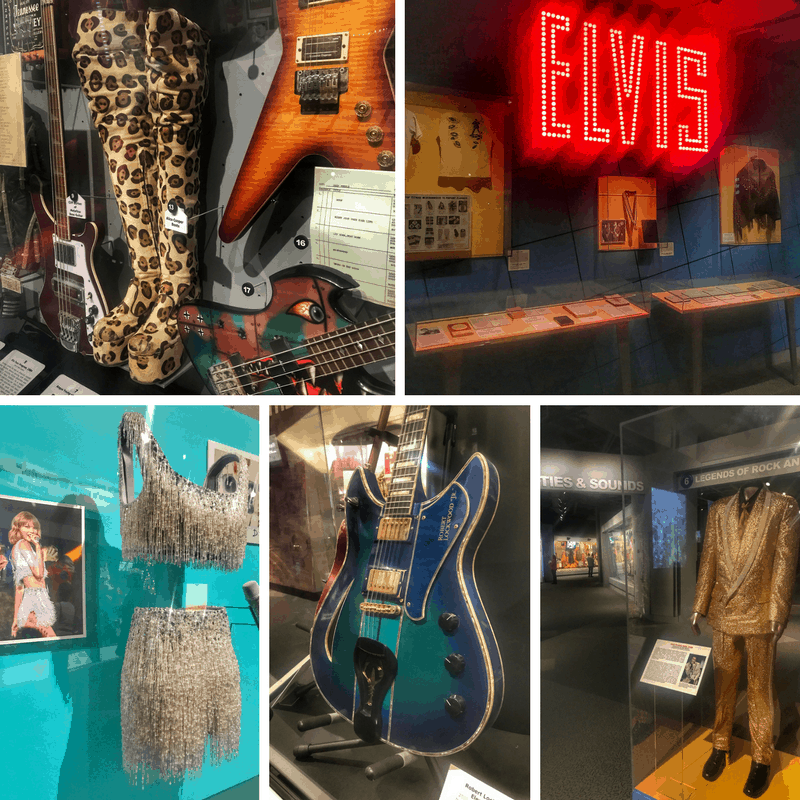 Kids and adults will enjoy experiencing the evolution of music at the Rock & Roll Hall of Fame. Learn more about the past, present and future of rock and roll with interactive experiences, memorabilia, and film. It’s seriously like walking through a time capsule of your life. Music brings up so many memories and it’s great to share memories of your favorite artists with your family. Start on the lower floor. The largest exhibits are on the lower floor and they are designed to be seen in order. The lower level will take up the majority of your time. After you finish the lower level, you can speed through the upper levels if you need to. 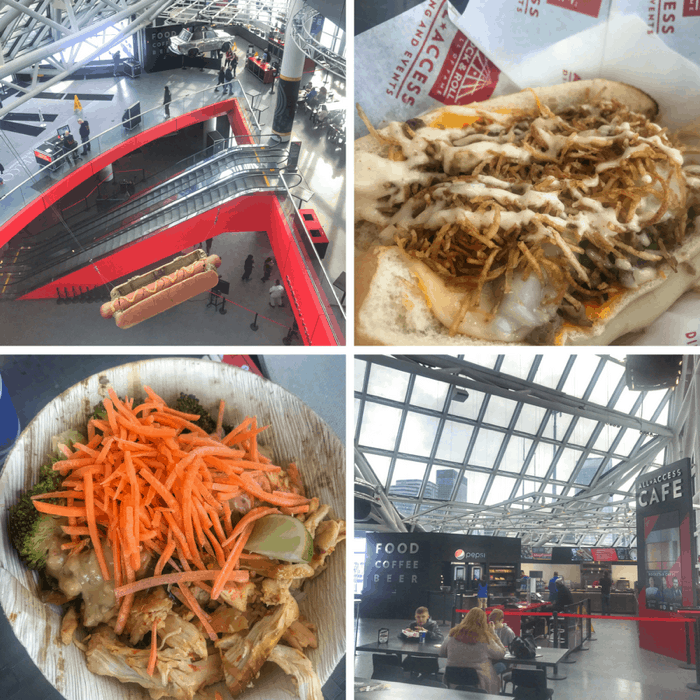 Have a plan for lunch – we chose to eat onsite at the All-Star Cafe for time purposes. There are three different styles of food to choose from and they EXCEEDED my expectations. Each member of my family found something that they liked and the price wasn’t bad given its location. Nueva is another nearby option within walking distance. Only bottled water is allowed to leave the cafe area, so keep that in mind with your drink selection. 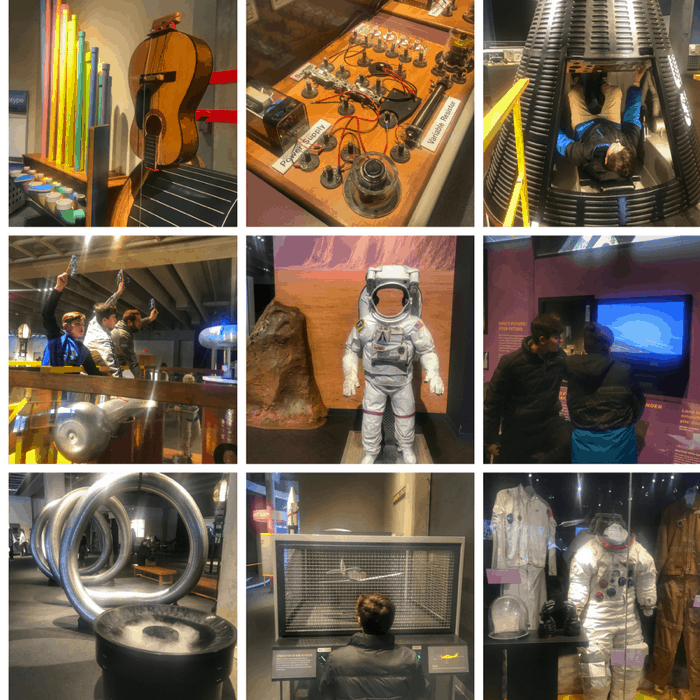 Located next to the Rock and Roll Hall of Fame, the Great Lakes Science Center provides guests with opportunities to connect with science through play and curiosity. There are more than 400 hands-on exhibits to discover. The top level was definitely a family favorite with so many exhibits to explore at your own pace and interest. The NASA Glenn Visitor Center is another highlight with artifacts from John Glenn’s Friendship 7 mission. There is a cafe on the lower level if you need to grab a bite to eat during your visit. 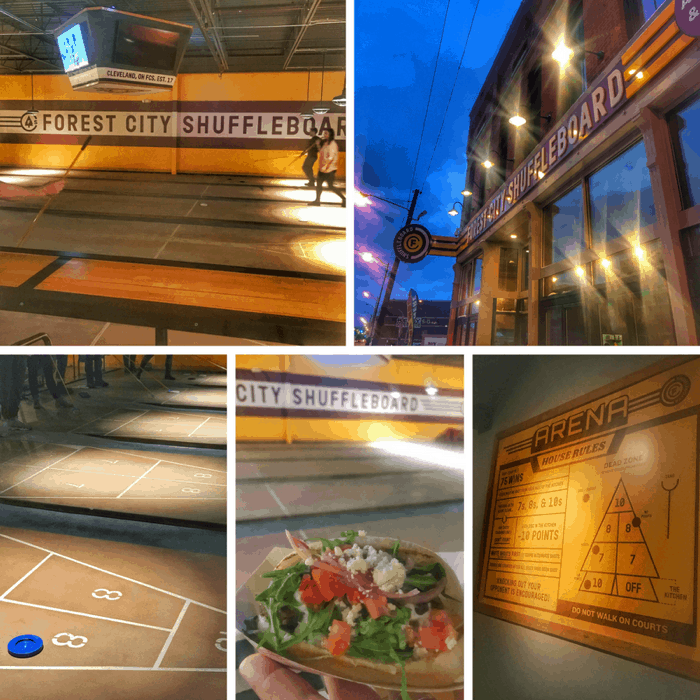 With tabletop, outdoor, and indoor shuffleboard courts, Forest City Shuffleboard is bridging the generational gap and introducing a new love of shuffleboard to all ages. The food changes each month partnering with chefs from local food trucks. For the best value choose items that you can share. We liked the eggplant fries but the sandwiches were a little small for the price. There are plenty of craft beer options and non-alcoholic drinks available. This restaurant is a must for anyone who is a history buff and kids will be pretty impressed with the real planes and jeeps as you approach the building. 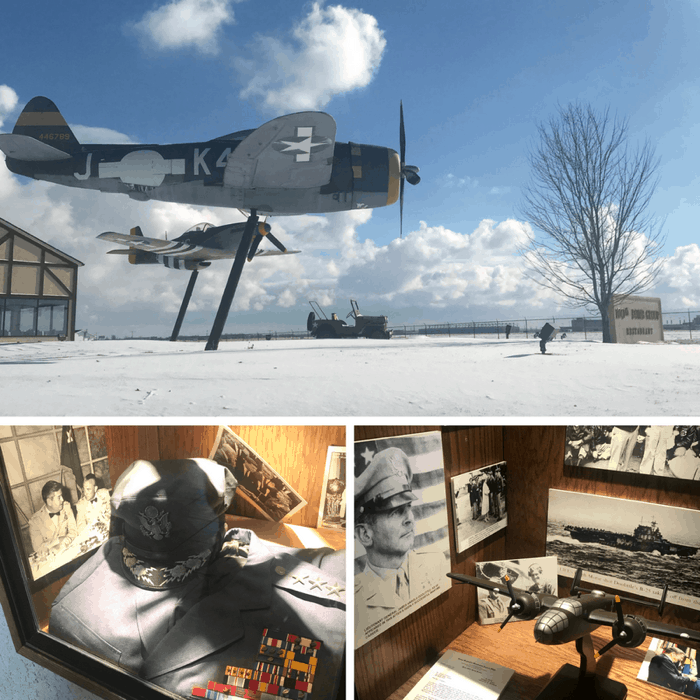 The 100th Bomb Group Restaurant is also FILLED with memorabilia honoring those who served during World War 2. The restaurant’s founder, David Tallichet served in WW2 as a B17 co-pilot for the 100th bomb group. A Sunday brunch that comes with complimentary mimosas, um yes, please! 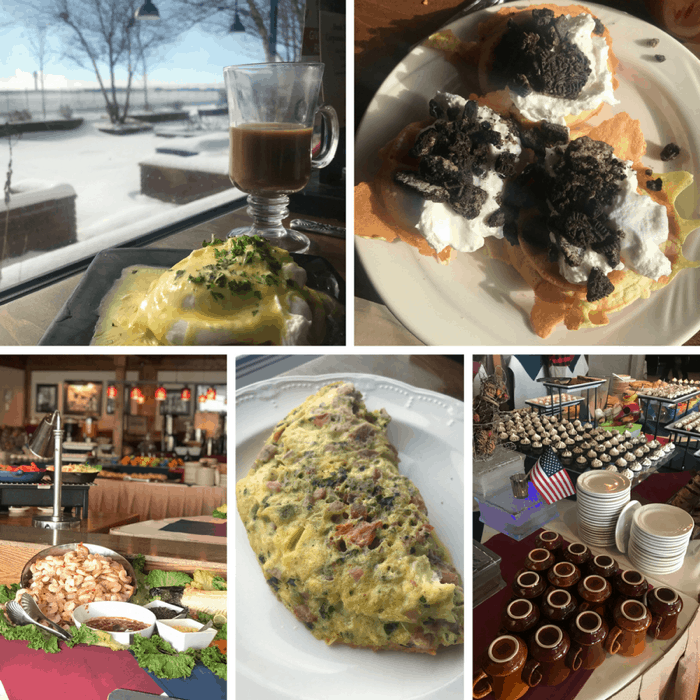 Let your server give you a tour of all of the buffet options -there are lots of great breakfast and lunch options ranging from sweet to savory. Start with a little. You can always get seconds. Hurt so good hurts really bad if you eat too much. 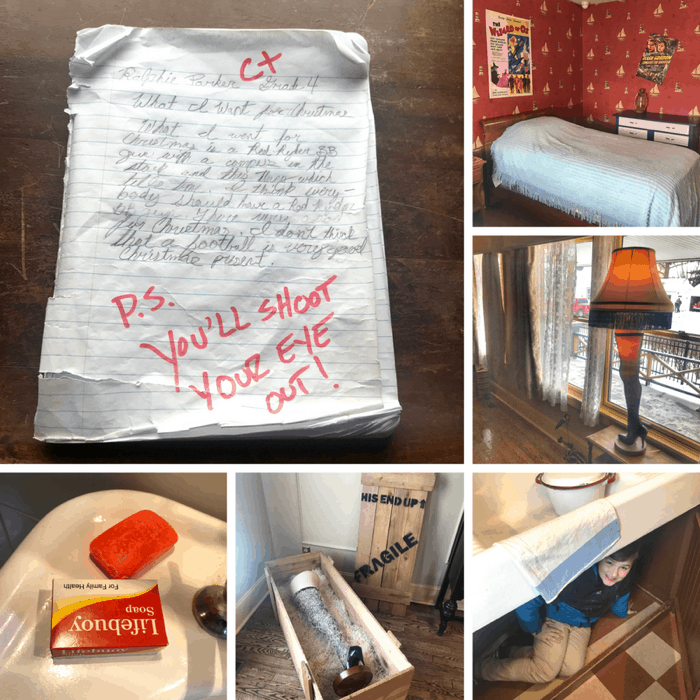 Check out the WW2 memorabilia on the walls to help pace yourself. The Chalet in Mill Stream Run Reservation, Cleveland Metroparks takes guests on the tallest, fastest ice chutes in Ohio. 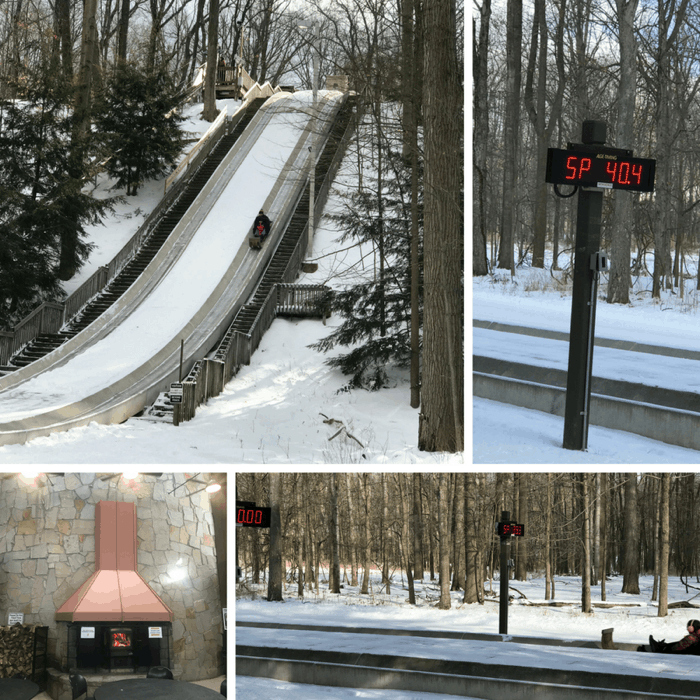 This toboggan ride can hold up to 4 people and reach speeds up to 50 mph! With double lanes, you can race other riders and check your speed on the display at the bottom. Check the line before you order your tickets. You can purchase a single ride ticket or all day pass. There are markers on the stairs for the 2 and 3-hour marks. You won’t need an all-day pass if the lines are super long. Try to arrive as soon as it opens so that you can get in line as quickly as possible. We visited on a Sunday when it opened and were able to ride several times before the lines grew. You are required to wear gloves. I would suggest wearing an older pair because they can get snagged by the rope. Listen to the workers and hold the ropes up as high as possible on your way down. We wore snow pants and snow boots and felt comfortable. There are MANY stairs to climb to get to the top. 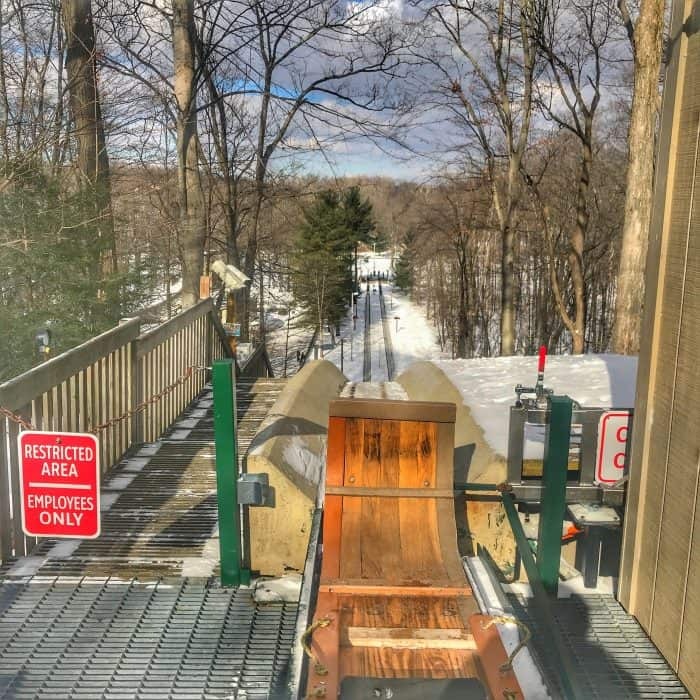 No GoPros allowed on the toboggans. If you get cold you can warm up inside the chalet that also sells food and beverages. This dive bar is such a gem! 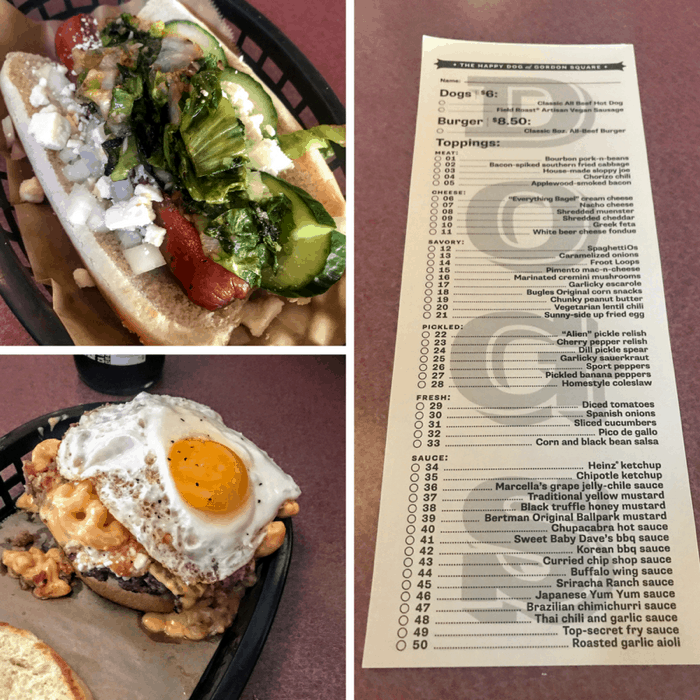 The Happy Dog is a great place to try a new twist on an all beef hot dog or hamburger. Each patron selects their perfect combination on a menu that is reminiscent of a grocery list your grandmother might have used. Don’t forget to try the tater tots and fries- their sauces are amazing! 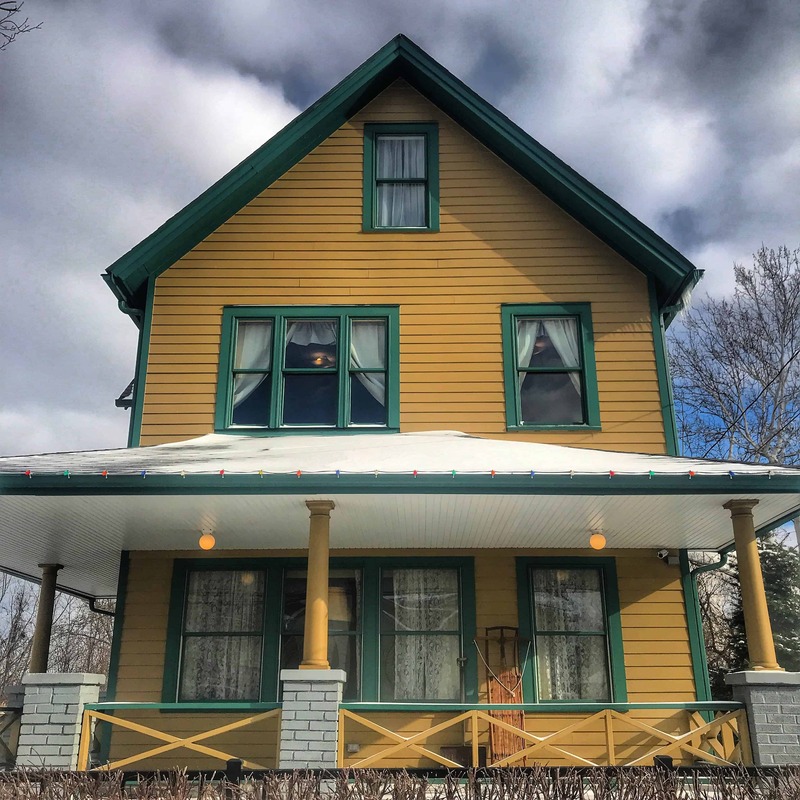 Relive some of your favorite holiday movie scenes with a visit to the A Christmas Story House.The guided tour gives you access inside the house where you can take pictures with many of the props. Playing with the props is actually encouraged so have fun with it! 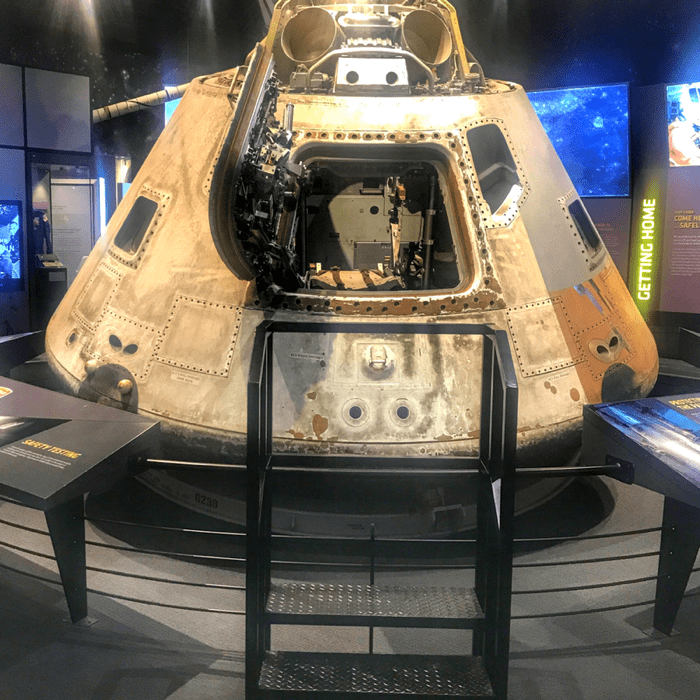 You also get to go inside the museum where you will see lots of memorabilia from the movie and hear stories that will make you want to watch the movie again. You will have lots of photo opps inside the house where you can touch the props. To make the most out of your visit you really need to take the tour. 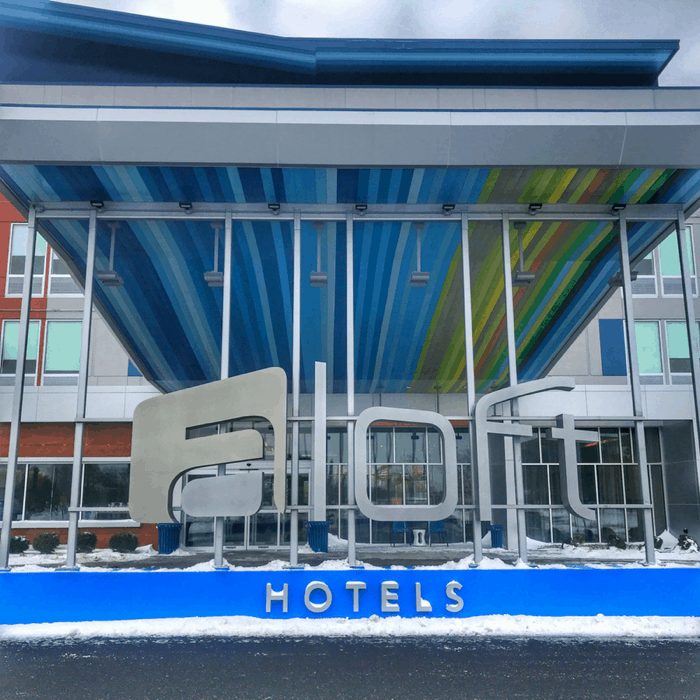 During our visit, we stayed at the Aloft Cleveland Airport Hotel. The rooms and lobby are contemporary with FUN pops of color throughout. The open concept in the lobby creates a welcoming environment to socialize with other guests. 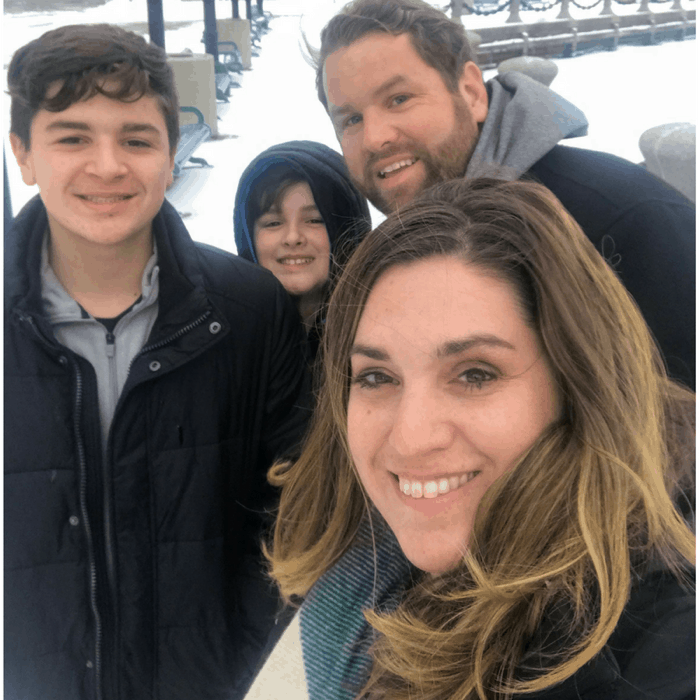 My family enjoyed playing a few games of pool together and then my husband and I enjoyed resting by the fireplace while the boys finished up a few more games. There are plenty of options for a snack in the grab and go. Allow some extra downtime in your schedule for the kids to burn off energy in the pool. We had a great visit to Cleveland. There is so much to discover and each visit makes me want to go back to discover more! 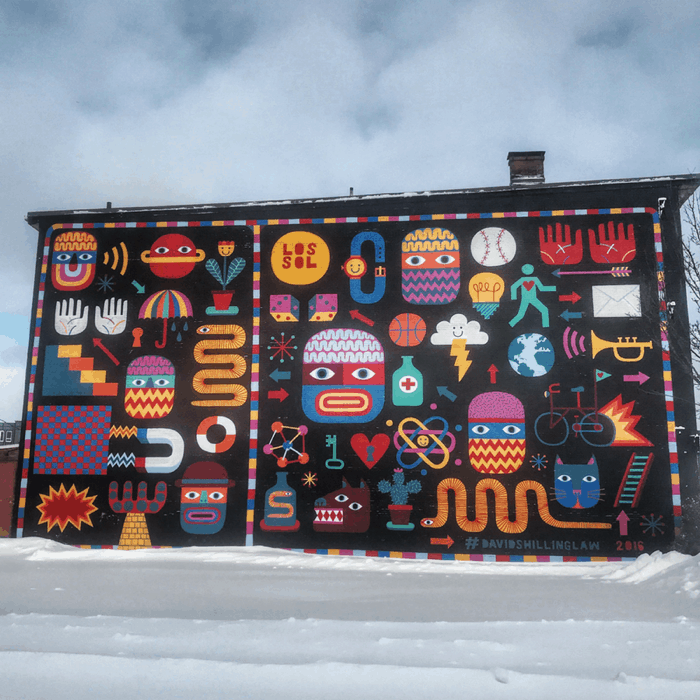 Next time I’m definitely checking out more of the street art and great restaurants. 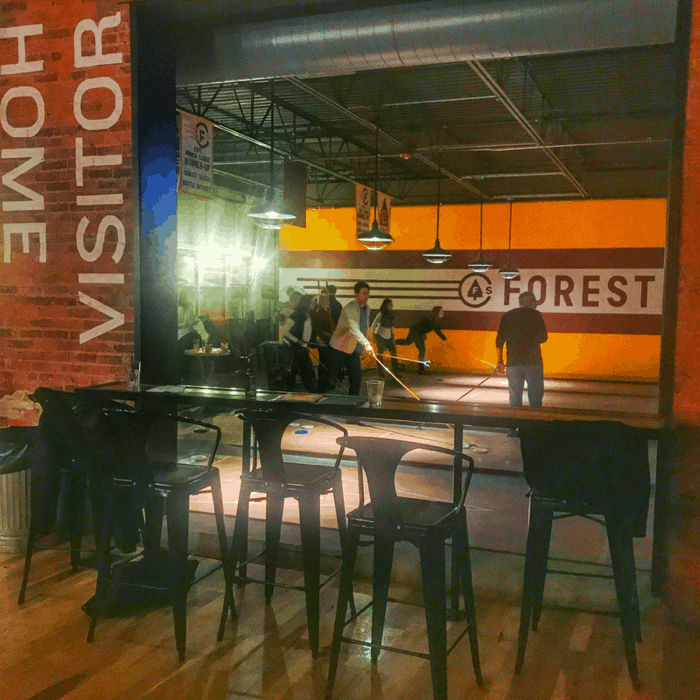 Disclosure: Thanks again to Destination Cleveland for hosting a portion of our visit. 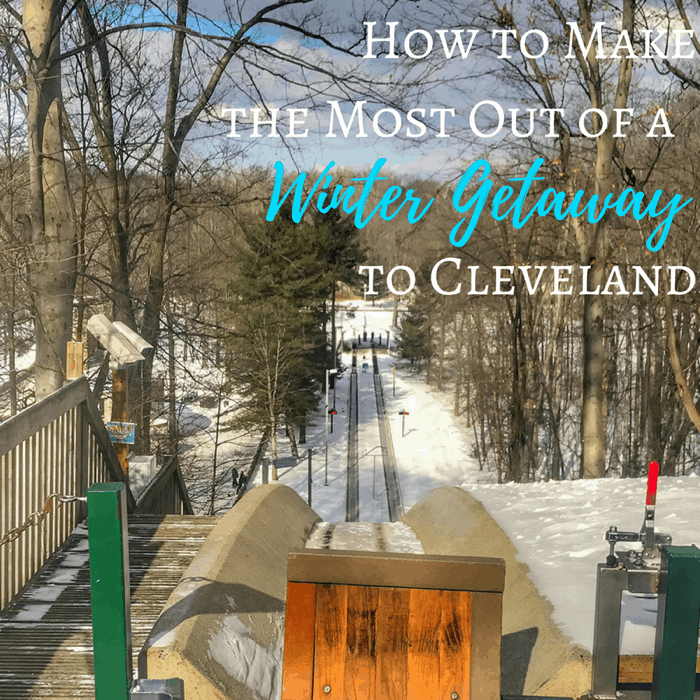 You can find more Winter in Cle ideas from their website All opinions are my own. Looks like a really fun place to visit!! Jam packed full of information too! 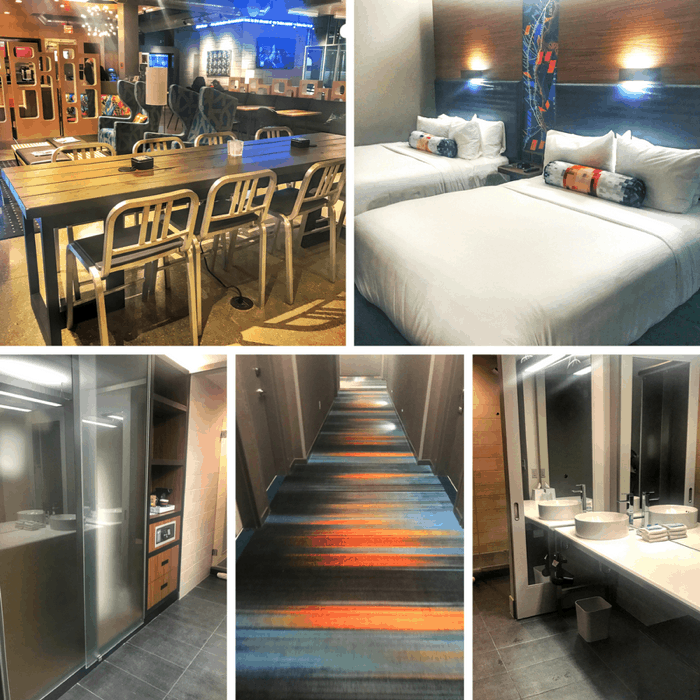 The Aloft hotels look awesome, I’m debating about staying at the Chicago Airport one in March! There is so much to do! We visited the Christmas Story House and took advantage of the deal offered by Red Roof Inn which included a very nice room in Independence, 2 tickets to the Christmas Story House, and a leg lamp , and the whole package was about $100. We took in a Cavs game too! That’s a great deal! My boys would love to check out a Cavs game the next time we are in town. Hello Nedra! 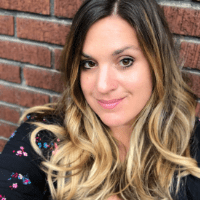 Very informative and helpful article. 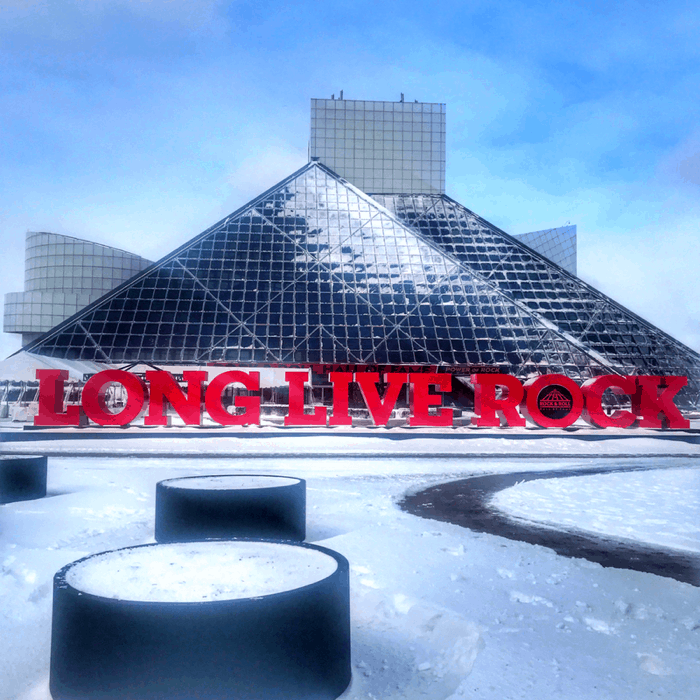 We visited Cleveland last January and we really enjoyed our stay there. For me, it is one of the most underrated places to visit. Anyways, i love the photos, very instagrammable. What cam to you use? Thank you! All of those were from my iPhone 7 +.